When Harry Truman assumed the presidency in 1945 upon Franklin D Roosevelt’s death, the White House was a dangerous place. The 145-year-old home of the president was ready to collapse and presented serious safety issues for those working and living in it. Structural Studies: Three structural surveys in 1948 revealed that not only was the second floor in danger of collapsing, but the entire building was at risk. They found that the family dining room ceiling below first daughter Margaret’s room had dropped an astonishing 18 inches! They also found that thousands of pounds of abandoned pipes had put a strain on the building. This caused the interior brick walls with no foundation to sink into the soft clay and sand and to pull away from the exterior white sandstone walls. Multiple generations of first families had ordered renovations in the historic building and load bearing walls had been cut through or notched to rearrange doors and walls.Surprisingly, the studies also found blackened beams from the 1814 fire when the British torched the President’s House. Many of these beams were simply reused in the 1817 rebuild of the mansion and had never been replaced. 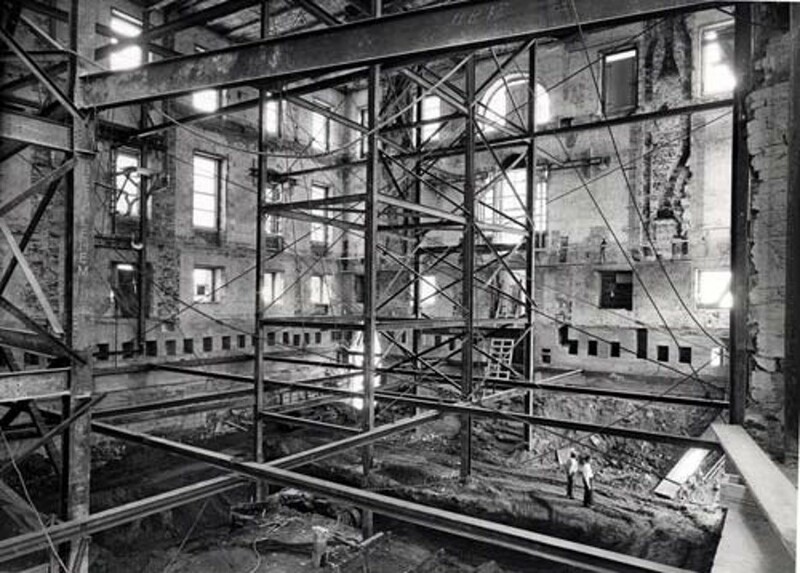 Reconstructing the White House: The story of the complete gutting of the interior of the White House and replacing it with a steel infrastructure is a fascinating one. On September 20, 2018, I gave a 45 minute presentation on the reconstruction of the building for the Central Ohio Organization of Public Purchasers in Columbus. The title of my talk was “Barely Avoiding Disaster: Lessons Learned from the White House Reconstruction Project During Harry Truman’s President.” The following is a link to the video of my presentation.